Secure Fire Protection Limited was founded in July 2014 and has been enjoying serving our ever growing client base since. The company was started by Martin Williams following 7+ years’ employment with one of Britain’s largest fire safety companies. The level of training and experience gained was invaluable. From dealing with large national contracts to small independent companies, he learned the level of service should be kept at the highest standard no matter the size of client. During his employment, the focus on customer service and building client relationships was noticeably lost and quickly replaced by a sales driven business. Uncomfortable and unhappy with the business changes and confident he could provide the level of quality and customer service the fire industry required, Secure Fire Protection Limited was born. Extinguisher Supply & Maintenance, Portable Appliance Testing, Fire Risk Assessments, Safety Signage Surveys and Fire Safety Training. Billington’s is family owned and operated. They pride themselves on customer service, offering top quality products and value for money – they have over 25 years combined experience in making customers happy. Specialising in artisan and locally sourced products, they have an exciting deli counter with home-cooked meats, and a selection of amazing products sourced from all over the world. Situated at 114 Kirkintilloch Road, Lenzie (next door to Lenzie Train Station), you will find an excellent range of wines, beers & spirits, not to mention Billington’s Ice Cream – hand mixed on a cold marble slab, with your choice of added toppings, from fresh berries to home-made tablet – a mouth watering treat for young and old. Billingtons is multi award winning some of titles listed here. They have also collected Best Coffee Shop and Runner up Best Barista and Best Multiple Operator in Scotland at the Crema Awards 2018. The Billingtons family were also awarded an honorary award at the 2018 Scottish Food Awards for services to the Hospitality industry for East Dunbartonshire. Billingtons Coffee House was launched Feb 2017. Established since 2015 PSS specialises in the erection, maintenance and restoration of new & existing stonework and block work. We also offer a hard landscaping service and with over 20 years’ combined experience we are known locally for providing an excellent service at competitive pricing. Living in Lenzie for a number of years we have frequented the gala but probably never supported it as much as we should have. Last year we decided to offer more support by taking a stall and hosting a competition to raise funds for the Beatson cancer charity. This year we couldn’t wait to put even more weight behind the new format GalaFest as this is the one day where the community get to come together and celebrate our village. With some great new features to attract all members of the community we are really excited to see what the future holds for the gala. There is a phenomenal amount of work that goes on behind the scenes in order to organise the gala every year and our concern here at PSS is that if we don’t support the event as a community or local business then it will be removed from our annual events calendar which would be a real pity. Next year we would love to see even more great acts on the stage, to have more local businesses supporting it and the community really getting behind the gala to help to build on it year on year. To anyone that is thinking of becoming a friend of Lenzie GalaFest like we did then we would say go for it. The community supports us by referring our name to neighbours, family and friends so by supporting the new format Lenzie GalaFest it allows us to demonstrate our appreciation for that and support Lenzie Community Council to deliver this event year on year. Lenzie Gala day has always been a favourite within the community and well attended if the weather is nice. We like the idea of the new marquee feature which is sponsored by CODA estates as it means that not only are there great new artisan stalls being included but also we can shelter there if the weather decides to sabotage us on the day. To be honest it is exciting. The gala has always been great but if there are any opportunities to change the offering and make it bigger and better then lets support it as a community by going along on the day or supporting as a business. There are a small number of people within our community who work very hard every year to make this event possible. If we can support in any way then we will. After all we hope to enjoy it with our families for years to come and in order to make it bigger every year then taking a small sponsorship package really can make all the difference to making the event go ahead or not. It is about community spirit, not just business. We would like to see more stage acts and entertainment. What have you got to lose? Becoming a friend of Lenzie Galafest is a great way to let people know what we do but also that we are serious about supporting the community as well. 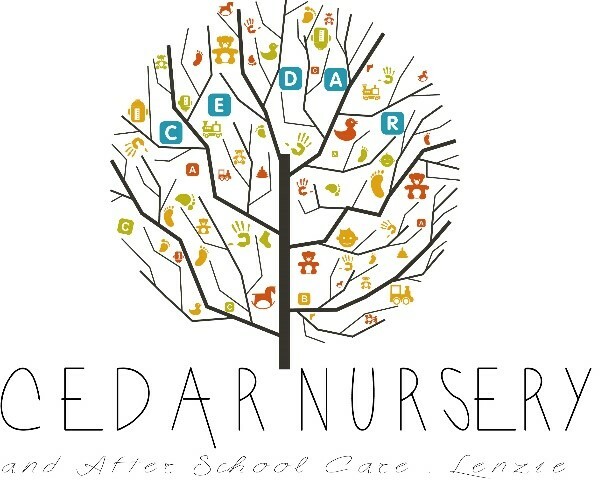 Cedar Nursery & After School Care is located in the heart of Lenzie and we provide high quality education and care for children aged to 2- 11 years. We pride ourselves on being an active part of the community and building positive relationships with all the generations which have come through our doors. Our families positive feedback and comments are testament to our ongoing success. We are proud to be a part of the Lenzie Gala, our children look forward to this community event which supports the children in understanding what it is like to be an active participant in local life. 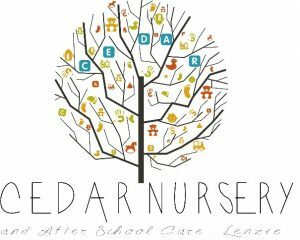 They enjoy the fun aspect and sharing their stories at a later date with their peers at nursery and after school. By supporting the Gala Day we hope to continue to integrate our nursery within the local community to raise our profile amongst new and existing families. We are a relatively new business/service in Lenzie as are only approaching our 2nd birthday. We live locally, and thoroughly enjoy being part of a wonderful community and to be able to provide eyecare services is a bonus. At Browns Opticians, we are a family run optical practice with a strong bias on clinical excellence. We provide eyecare services including eye tests, contact lenses, visual stress assessment, home visits and much more. Both my wife and myself are qualified independent prescribers meaning we can treat a range of eye conditions which may otherwise require a GP or hospital appointment. We are passionate about improving the eye health of our patients, and ensure everyone receives the highest level of care with a tailored comprehensive eye test, and can provide outstanding eyewear if necessary. Its a wonderful day out for the whole of the community. Its always lovely to see people of all ages coming together and enjoying themselves. The addition of sunshine always adds to the day too. Its a day to showcase what is great about Lenzie and creates a tremendous community environment. Sadly I was working last year so I missed it, but my 3 daughters and wife went along. My youngest is part of Lenzie Woodhead gymnastic club and always enjoys taking part in the annual displays at the gala. We are all looking forward to spending the afternoon there this year. I feel its always important to support your local community and its good to know the people behind the businesses. The gala day is an opportunity to meet different people from across our community, and enable us to help support local people and not larger corporations. Don’t think about it…get involved and do it. Its a fantastic opportunity to get to know people and businesses in our community. Theres so much to be gained and nothing to lose. Lenzie’s a small town with a big heart and we’re proud to be part of it.